Thanksgiving has come and gone, now let the festivities begin! Yes, it’s already that time of year again, time for the holiday parades and festivities. Here is a list of some of the local parades and events going on in our area… Carolina Christmas at Charlotte Motor Speedway– The festivities begin on November 28th and continue until December 24th from 6:00 pm to 11:00 pm. Christmas in Davidson– begins on Thursday December 1st and comes to a close on Saturday December 3rd. The is always great food, fun and festivities each night from 6:00 pm – 9:00 pm. Denver Parade– will be the 3rd annual parade and it will take place on Saturday December 3rd at 2:30pm. This year’s theme is “The 12 Days of Christmas”. 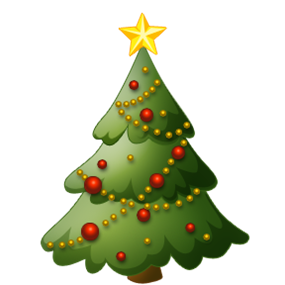 The official tree lighting will take place on Friday December 2nd at 6 p.m. at Lake Norman Lutheran Church, 1445 N.C. 16 N., followed by Christmas carols. Fort Mill Christmas Parade– will be held on December 3rd at 11:00 pm on Main Street. Gastonia Parade– is scheduled for December 4th at 2:00 pm. McAdenville Parade– Better known as Christmas Town USA, will hold it’s parade on Thursday December 1st at 4:30 pm and finish up with the official lighting ceremony. Mt. Holly Parade– Will be Wednesday November 30th at 3:00 pm North Mecklenburg Parade–This year will be the 29th annual parade and will take place on Saturday December 3rd at 1:00 pm. Rock Hill Christmas Parade– is scheduled for December 2nd at 6:30 pm and starts at Winthrop University. Uptown Tree Lighting– will take place on December 2nd at 5:30 pm in “The Square” (Trade & Tryon Street in Charlotte) Waxhaw Christmas Parade– will begin downtown at 3:00 pm on December 11th and will end with the official tree lighting. There are many other events taking place around our area. These are just a few that we decided to highlight.